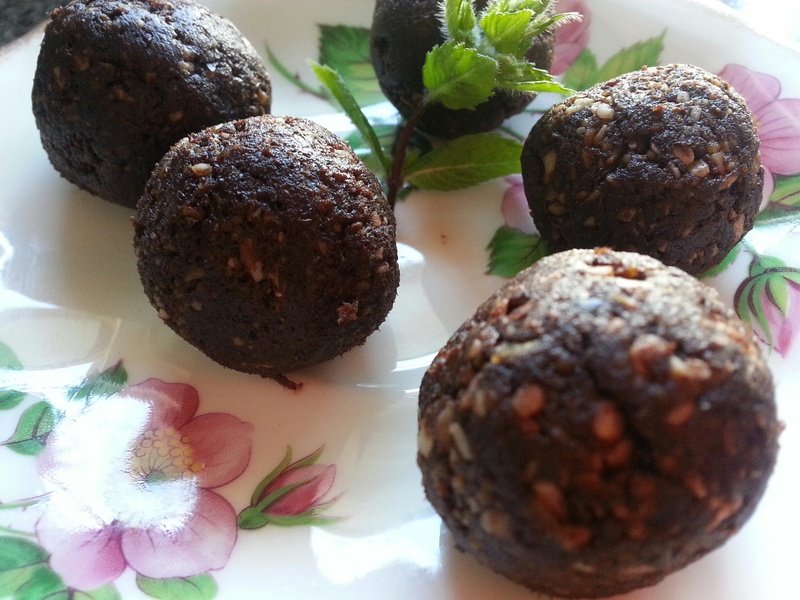 I am always looking out for a great healthy but delicious treat and have found it in these brownie balls. Best to make two versions, one with brandy for the adults and another with Vanilla essence for the kids. This recipe is really easy and quick to make. All the ingredients can be added into a food processor at one time and then blended to form a smooth paste. You can choose any nut of your choice. You could even include a non sweetened cereal as a substitute. Then you get to sit back and enjoy these lovely brownies. I have put a few in the freezer to avoid eating it all in one go. 1. Blend all the ingredients in food processor. 2. Shape into 1 inch balls.